According to Variety, Kasdan, Scott Rosenberg, and Jeff Pinkner have penned the script. Actor and rapper Awkwafina is in negotiations to star alongside Dwayne Johnson and Kevin Hart in the sequel to the smash-hit film, "Jumanji: Welcome to the Jungle". The 29-year-old star had a spectacular 2018, courtesy box office hits "Ocean's 8" and "Crazy Rich Asians". The sequel, which will once again be helmed by Jake Kasdan, will also see Jack Black and Karen Gillan reprising their respective roles from the 2017 film. Matt Tolmach is producing the project along with Johnson's Seven Bucks banner and Kasdan. 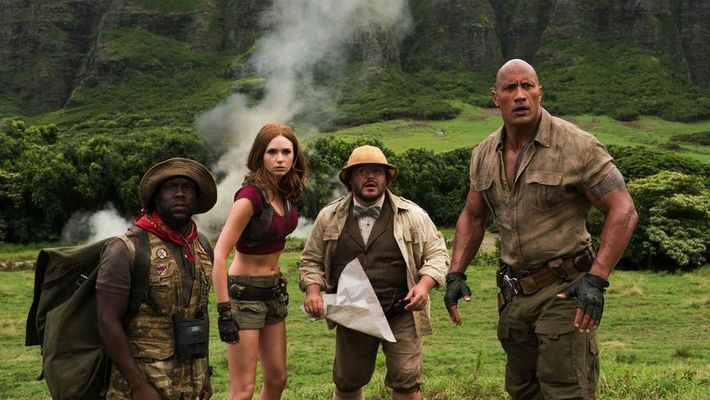 "Jumanji: Welcome to the Jungle", a reboot of Robin Williams' 1995 "Jumanji", was released in December 2017 and raked in USD 960 million at the global office. Johnson had recently confirmed that the sequel will hit the theatres in December this year.